Over the past few years, we have been witnessing a wave of new technology tools for human rights documentation. Along with the arrival of the new tools, human rights defenders are facing new tools, new possibilities, new challenges, and new expectations of human rights documentation initiatives. 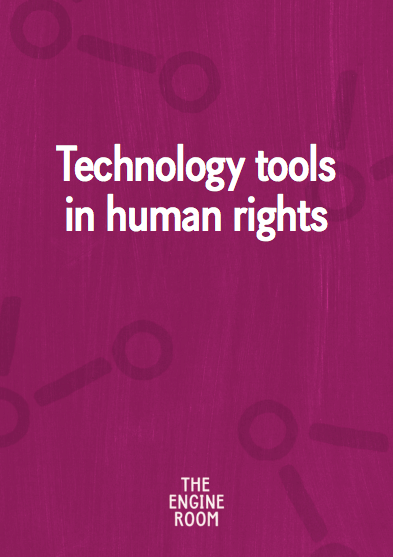 Produced with support from the Oak Foundation, this report is designed as a first attempt to detail available technologies that are designed for human rights documentation, understand the various perspectives on the challenges human rights documentation initiatives face when adopting new tools and practices, and analyse what is working and what is not for human rights documentation initiatives seeking to integrate new tools in their work. You can also read the report online in our Library. The majority of this report’s insights come from two series of interviews: sixteen conducted between February and April 2016, funded by the Oak Foundation, and 20 related to our work producing DatNav in partnership with Amnesty International and Benetech. These interviews were supplemented by our desk research on tool functionality and other case studies. Our sample size is far too small to make claims about the sector as a whole, but we hope to carry out future research that enables broader conclusions. The interviews were conducted with three main groups of actors: human rights defenders (HRDs), intermediaries who are supporters of HRDs using technology more effectively, and tools developers. Traditional methods still apply: The environment in which HRDs are working has not dramatically inherently changed due to technology and data. Unreliability and unknown risks provide huge barriers to engagement with technology: In high-pressured situations such as that of HRDs, methodologies used need to be concrete and reliable. Priorities of HRDs centre around their particular issue: Digital technologies often come as an afterthought, rather than integrated into established strategies for communication or campaigning. The lifespan of technology tools is a big barrier to longterm use: Sustainability of tools and maintenance is a big barrier to engaging with them and can cause fatigue among users having to change their practices often. Past failed attempts at using tools makes future attempts more difficult: After having invested time and energy into changing a workflow or process only for it not to work, people are often reluctant to do the same again. HRDs understand their context best: Tools recommendations coming from external parties sometimes do more harm than good. There is a lack of technical capacity within HRD initiatives: As a result, when tools are introduced, groups become reliant on external parties for technical troubleshooting and support. Or read the report online in our Library.